I came across Murder in the Steam Store and was instantly drawn to its graphics, theme, and the premise of a tight 30-minute point-and-click adventure. My immediate thoughts were that the game was a bit ostentatious for its own good- the opening screen being far from the moody type of post-noir cyberpunk I’m used to (and quite enjoy, as it were), with a feverishly paced, profanity laden rap tune as the chosen track to accompany the title screen. 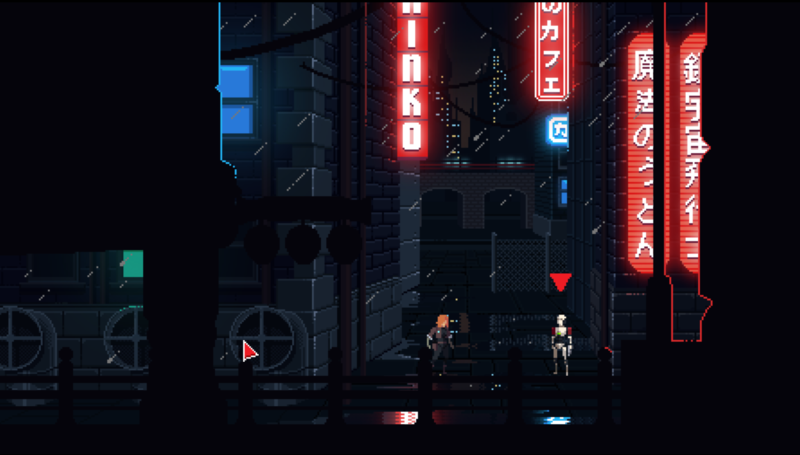 After a tutorial (which I’ve learned is a hot commodity in the cheap game world), you are treated to the first scene of the game, with neon lighting and the graphics glitching out. Upon seeing it, I was immediately drawn in. 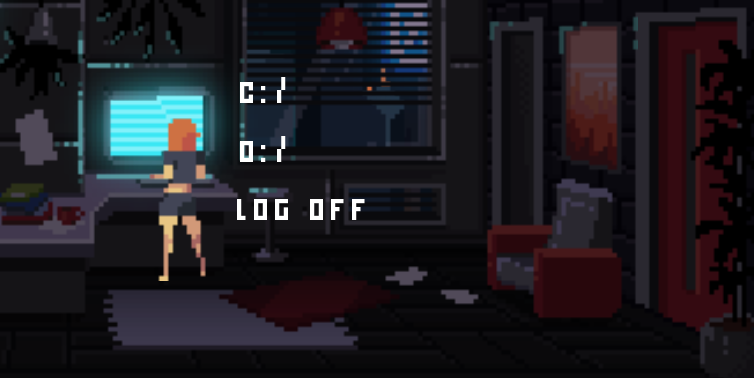 Once you get past this first scene, which is less game and more cutscene, you go to your apartment, where you learn that in this world of sentient robots, MS DOS is still the operating system of choice. 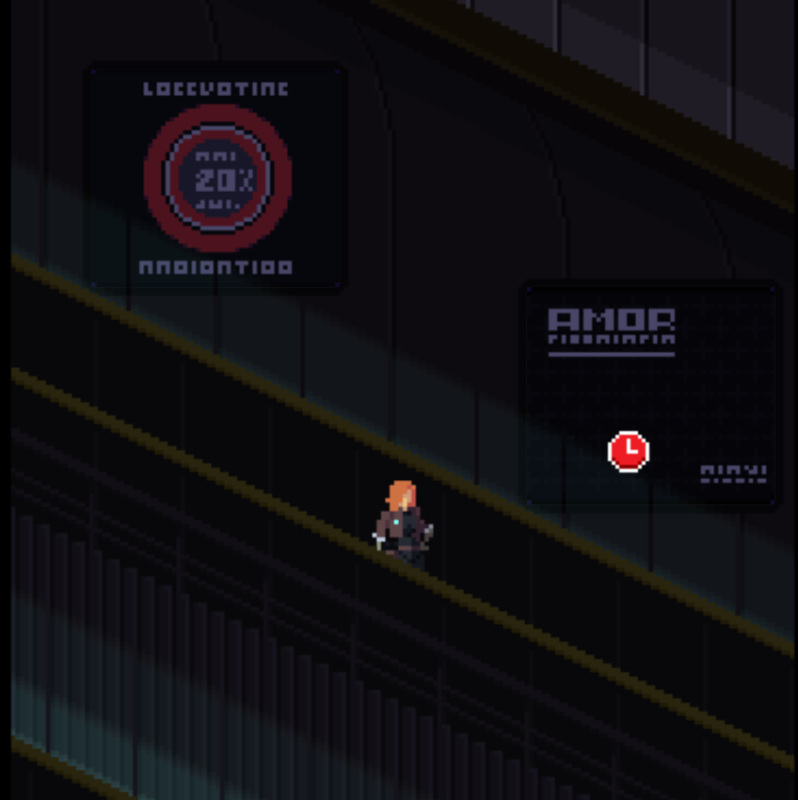 Most of the game is spent clicking various characters to get flavor dialog before clicking a predetermined (and obvious) subject that will move the game along. The dialogue reading is quite dry- and to be honest, if this were a true pastiche of classic point-and-click adventures, there would be little or no voice acting. Aside from wooden acting, the dialogue is quite typical phony cop-talk, such as “what’s the 101”. The main story revelations are uncomfortably simplistic and suffer from vagueness without nuance . The biggest sins come in the fact that you actually have very little to do with the story’s development. Unfortunately, by the time you actually get even a smidgeon of story development, the game is over- in less than ten minutes, about 1/3 the length advertised. A short game is fine- I am a big proponent of the idea that a concept can be played out in a single permutation; a single scene of a movie, a single episode of a TV show, or a single photograph. However, Murder throws you into the latter half of the third act of a game you did not play; far too late to make a difference, and too late to really understand what is happening. Playing Murder is like walking into a group of people where someone tells the punchline to a very long and elaborate joke. You can pretty much understand what happened, but it’s not as funny as it probably should be. That is the essence of Murder. Or waiting while you walk down the hall. Yes. You spend most of the game watching things just happen. The idea of mundanity as an essential part of experience, juxtaposed against ultra violence and pain, is not lost on me. However, it is misplaced in a game of this length, especially when you are placed this far into a storyline. As far as gameplay goes, you are not required to make skill shots, or really any choices at all- you don’t even choose where to walk. Is that a statement on the human condition in the modern world, where we are now essentially inanimate objects performing routine tasks against our own will? I don’t think so, but if it is, I don’t buy it. 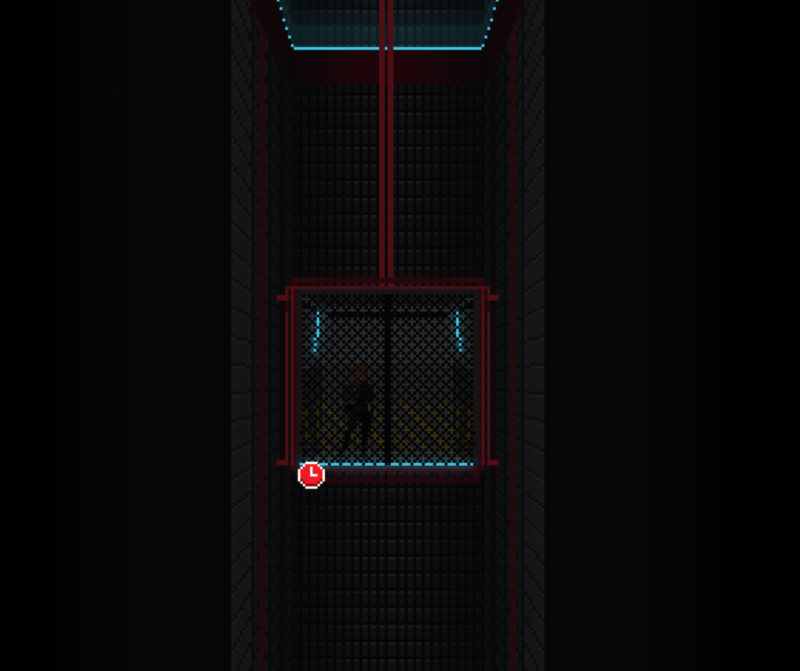 Your entire game experience is clicking on the solid red arrow in order to go to the next section. Every other click is superfluous. Clicking other things not only do not advance the story (which they obviously don’t need to), but they offer precious little to the story besides the tiniest amount of flavor into a beautiful but low-sodium landscape. The problem is that I really, really wanted to like this game. It was just too short, and frankly, too ham-fisted to leave an impression. The main point of the game- the question of sentience and the concept of being as a natural right- is made in such a clunky and rushed manner that the point is in danger of being lost in the din. I understand that it is more of a short story in game form, but a short story should be a complete narrative played out over a truncated timeline. Unfortunately, you are dropped into the Murder universe a little too late and with too little exposition for it to have any sticking power. Is it worth the money? Well, I picked up Murder on Steam for $4.49 with its predecessor, Stranded. 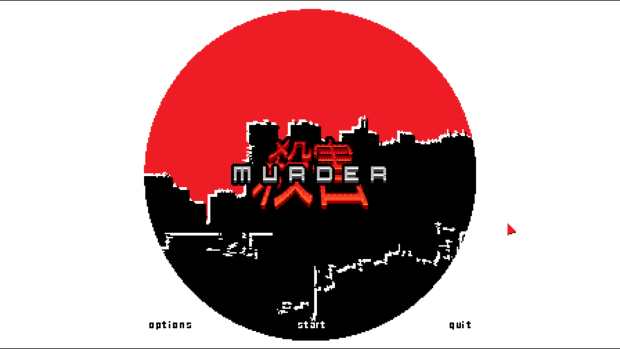 Even for the cost, it is a stretch to say that Murder is worth the money mainly because it has a too-simplistic script, little player involvement, and approximately zero replay value. Still, there is that little piece of me that still thinks that it is a beautiful expression of a genre. If it were…three times as long, and had a bit more attention been paid to the quality of dialog and player involvement rather than voice acting, it might have been great.